Free parking from 6:30pm outside. Charmingly unique, Bellaria Restaurant and Wine Bar in Fitzrovia is a must for those tired of the same typical Italian dining experience. 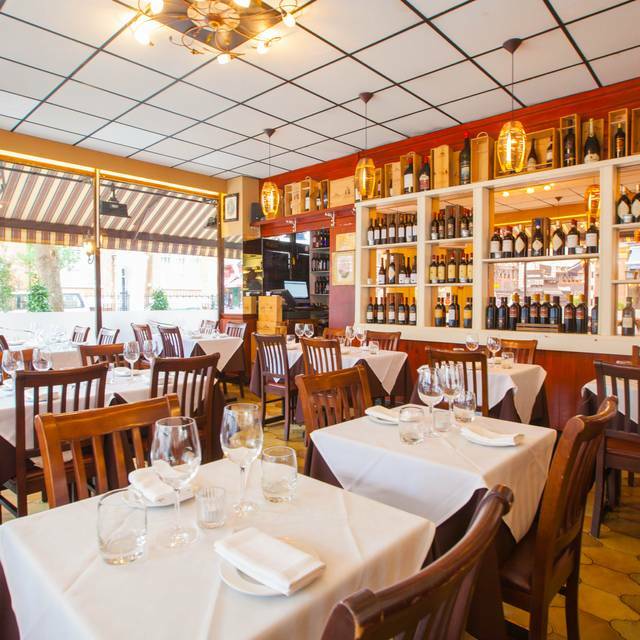 From street level Bellaria looks like a simple Italian restaurant with a welcoming atmosphere. The best seats in the house are by the wide windows where you can sit and watch the world go by. However, a few steps below and guests are transported to a whole other world. Bellaria’s basement is straight out of a fairytale – its bare stone walls, with their arches, nooks and crannies complemented by chandeliers, mirrors, and low lighting, enhance the atmospheric ambience. It is the ideal setting for romance and a real surprise to everyone who discovers it. 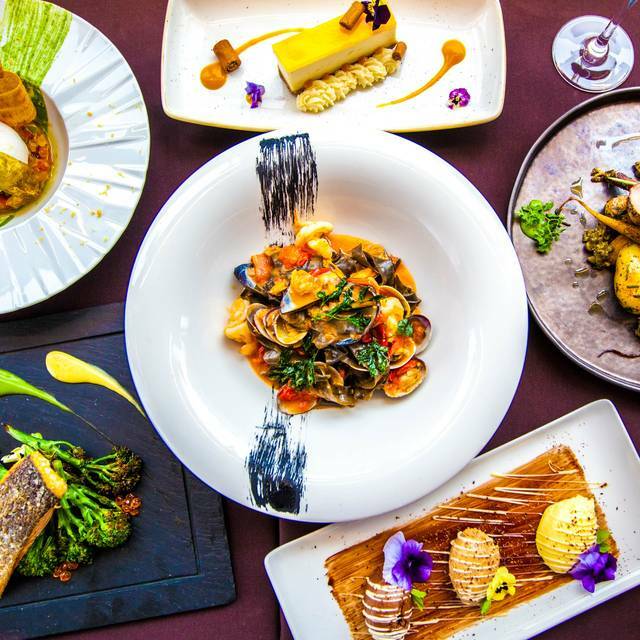 Sophisticated and contemporary, our menu makes good use of authentic Italian ingredients to produce elegant and creative dishes ranging from pastas and risottos to steaks and fish. To complement our delicious food we have created a long list of excellent wines. Bellaria offers private dining rooms for small groups 4-10 people, or larger private parties for up to 55 people (seated). The basememt area consists of 2 private alcove areas and a VIP table for 4 situated in the far corner. The exposed brick walls and low lamp lighing make an inviting atmosphere. 50% off on starters and main courses, minimum order is 1 starter and 1 main course per person. Signature dishes, special of the days, desserts and side orders are not included. Terms and Conditions: Includes Vat, excludes service. We had a wonderful dinner this evening. Started with bruschetta , followed by roasted brill, parmigiana’s, homemade pasta. Lovely way to celebrate my husband’s 50th Birthday. 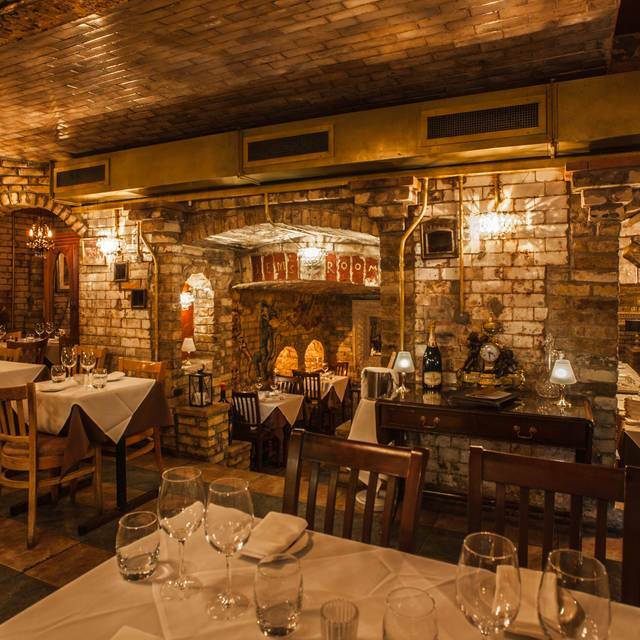 Cozy atmosphere with authentic Italian food prepared by very talented chefs. Everything was delicious especially the sea food pasta, bruschetta and king prawns!! Great service and attention by all the staff. Great, thank you very much. Lovely team of people. Lovely food. A lovely evening with tasty food and good atmosphere. Bill was a little more expensive than expected. My husband’s crab pasta didn’t have a trace of crab in it, and gave him bad indigestion. Our friend’s fish was over cooked to resemble shoe leather and he had to hack through it. The rest was just okay. How this could be called one of the UK’s best Italian restaurants is hard to imagine. The staff was perfectly nice though. An amazing find on OpenTable, amazing food and lovely cocktails. Really can’t fault the staff and the atmosphere. Overall a great experience on a Saturday evening in Fitzrovia. I’m Italian and I can only say that this is the perfect place to dine in central London if you miss the real taste of Italian cuisine. All dishes were exquisite and our waiter, Giancarlo, made us feel at home! Absolutely a must go restaurant! Such a pleasure to come across to a true Italian Restaurant!! Authentic and genuine Italian menu. Extremely friendly environment and great staff! The Pasta is outstanding! Such a cozy and intimate place where you immediately feel like at home. Starters r good, but the main is not good. We ordered the lamb, the meat is just warm and over cooked - feels like they pre-cook it. The beans and potato are hard and stiff. Good food, service at whatever pace you’re after and a reasonably priced wine menu. The pasta was perfectly cooked (beef ragu) and the bruschetta was fresh. I would definitely recommend for a party, or (as we did) sitting quietly drinking and eating with a friend/friends. Came in a group of 4, sat downstairs which looked cute but was extremely noisy with a group of 12 on the other side of the room. The Rumpage cocktail we had was nice but it was all downhill from there. Service was poor, the owner/manager was rude and unwelcoming; he was even fussed when we asked for more water (was not topped up once through the meal). Entrées were fine but nothing special, carbonara was extremely dry and tasteless. Would not recommend this place. Staff here are super friendly and the food is really excellent! The best Italian restaurant I’ve found in the area. Each time I visit I try something new and I have never been disappointed. We visited to celebrate a birthday after hearing about rave reviews from a friend. We were very impressed with the service, quality and portion of food and enjoyed the wines as well. Pastas were amazing. The price of the food is reasonable for what you are getting. The restaurant even prepared a small birthday dessert plate for us which was a great gesture! Absolutely great!!! We choose this restaurant for very important event, the staff was great from the beginning to the end!! We been treated as stars, specially from the manager and Jessica, food quality and presentation completed our night! Thank you to this hidden gem for made our special occasion!!! Looking forward to coming back!! We went here for my wife’s birthday a party of 9 based on the good reviews. If you want authentic Italian cuisine, you MUST try this restaurant. I have been going here since it opened and I have been disappointed ever! I've been going to Bellaria and it's now historic sister Bacco for a number of years. The food is always good and the service is always excellent. The prices offer great value if you opt for the special deals that they run which give 50% discounts on many (not all) starters and mains. The house wine is good enough, too! I took six friends and we will be going back next time we meet up. 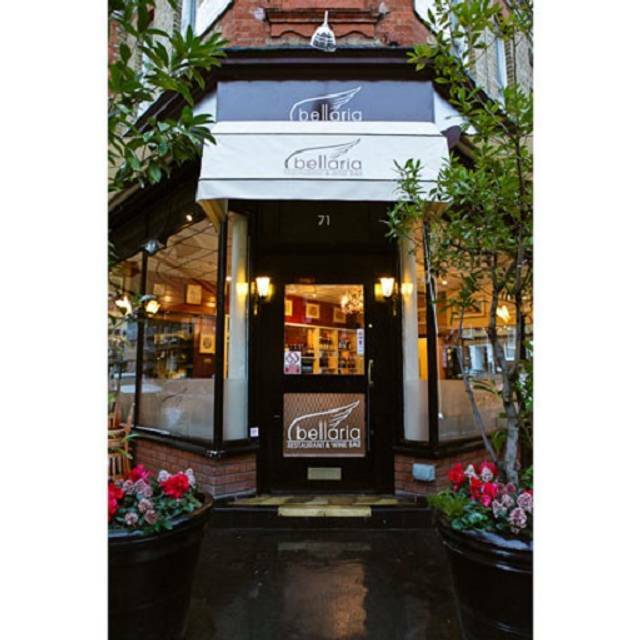 Bellaria is one of my favourite italian restaurants in London. Small but intimate, authentic. A good selection of Italian favourites on the menu a respectable wine list, including by the glass. I had a parmigiana for as a starter, which was very good although I felt the aubergine and cheese were a little drowned in the sauce, albeit a well balanced, fresh tomato sauce. A very fresh fish dish for main, then an exceptionally good dark chocolate freddo, which they list as a chocolate mousse. Service was efficient, although bordering on a little too keen to get our next order at times. Highly recommend. We had a fantastic time at Bellaria. Very reasonable prices, fantasic food, and a warm environment. Does get busy at peak times understandably. We have been going to Bellaria for years. 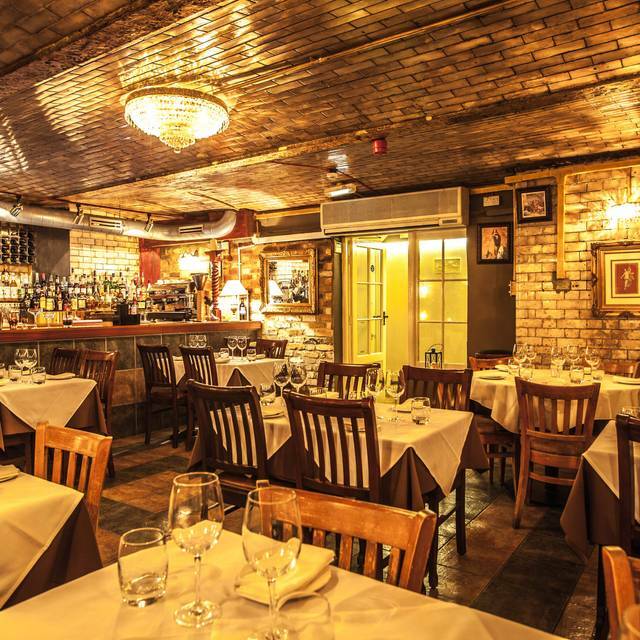 It is our go to place when we want great Italian food, drinks and service. Nice atmosphere, always consistent. 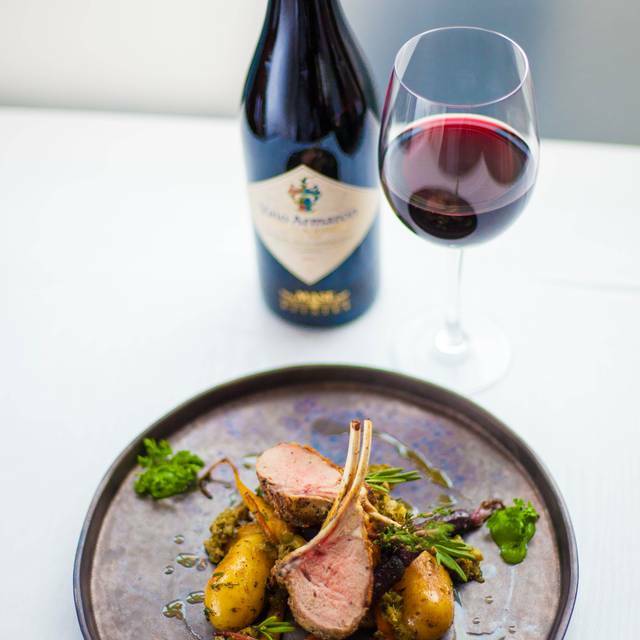 Varied menu and don't be afraid to ask for old favourites like the rack of veal dish which is to spoil yourself with. All the menu items are excellent and the prices are fair for the quality and portions. Scores of meals and we were never disappointed. 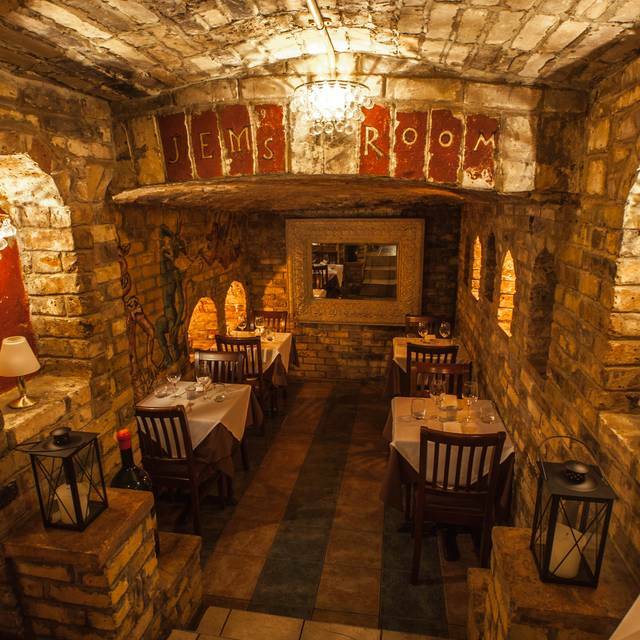 Bellaria Restaurant is the only place in the area to get really fresh, authentic Italian food. The food is phenomenal and so is the service. 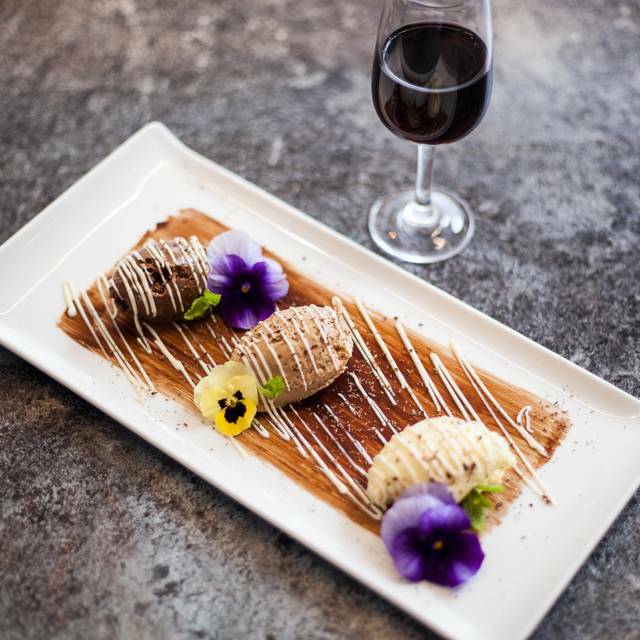 The restaurant is beautifully decorated and everything is delicious- from the drinks to the entrees to the homemade desserts. I highly recommend Bellaria! Excellent service. Oustanding food. Best seafood pasta ever. Bellaria has become our favourite meeting place. First time we have been to this restaurant, we went with friends and it was very good would recommend it. This is an excellent restaurant with great service - attentive and the all staff are realy knowledgeable with good sense of humour etc Again, staff were attentive but not overbearing - oferred really good advice where requested. All the dishes were well presented and prepared. A lovely restaurant with good service and mediocre food. The soup was bland. The seafood ravioli was -- underdone? Pasty? Bland, with not much seafood taste. There are much better places in the neighborhood. I have lived in Italy and would definitely say that this restaurant is authentic. Good service, well-prepared food, good selection in the menu and reasonably priced..
Had an excellent meal with my family. Service was excellent and all pasta dishes were well appreciated. We ate on the street level floor but there is a downstairs that looked more like the photos on their website. We had no issue with the first floor - great overall experience! Fantastic restaurant. Lovely romantic dining area downstairs. The service was the right balance of attentiveness without being overbearing. They even gave us a Grappa at the end for free! Good selection of wines and we found a really nice crisp and dry bottle (forget the name) with a little assistance. Friendly, helpful service. Unsophisticated Italian food, mostly tasty but some dishes (including the signature pasta) disappointing. 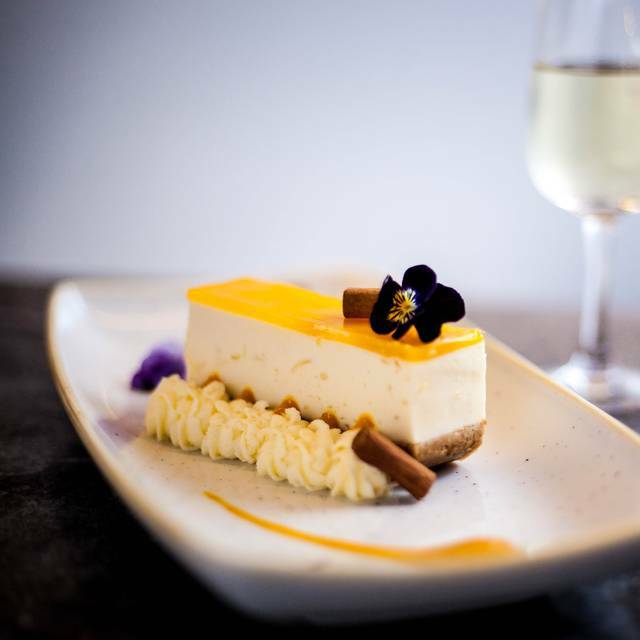 Excellent, well cooked food, fresh ingredients and a very friendly welcome. Highly recommended. I’ve been as a large group with family and a smaller group with friends and the experience was just as good both times. The offer made it good value, the atmosphere was not too noisy and pleasant for conversation, the food was average.